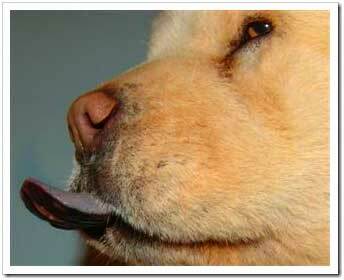 One of the great debates of the dog world has always involved the color of the Chow’s tongue. Many people ask why the Chinese Chow Chow and Shar-Pei both have purple tongues, but other breeds do not; the answer to this question is not simple or known for a fact. 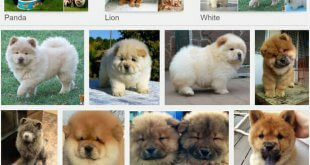 What is known is that the Chow is a very ancient breed of dog that originates back to the Han Dynasty in 150 BC China. 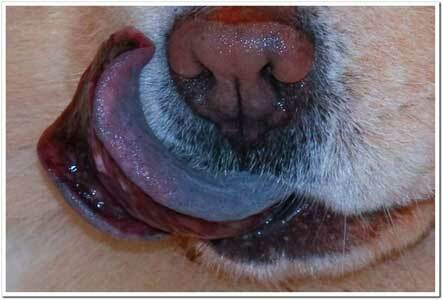 We also know that over 30 pedigree dog breeds can develop black spots on the tongue. Now, the complication comes when trying to explain this phenomenon. For starters, DNA tests were conducted on the Chow dog and it has been confirmed that it is one of the oldest breeds of dog. The DNA analysis also confirmed the breed originally evolved from wolves. 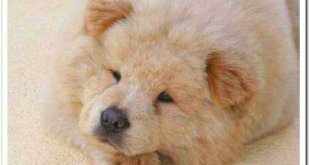 There has been a long-accepted theory in the dog world that the Chow Chow breed was developed by crossing the original Samoyed with the old Mastiff of Tibet. However, in modern day this theory is being questioned because neither the Tibetan Mastiff nor Samoyed has purple tongues. Hence, this information is causing many experts to believe that the Chow and Shar-Pei are possibly the original breeds of dog that all other breeds have originated from. Now, with that information out of the way, we will discuss how the coloring is created. The blue-black color comes from the same type of pigment that causes humans to have freckles. It is interesting to mention that few other animals outside the Chow and Shar-Pei have black tongues, and those are the polar bear, giraffe, and some cattle breeds. It is not known why or how this has happened to so few animals over the centuries. Today, there are many purebred dogs that can develop black spots on their tongue. These breeds include: Tibetan Mastiff, Akita, Cocker Spaniel, Golden Retriever, Bichon Frise, Doberman, Airedale, and many others. 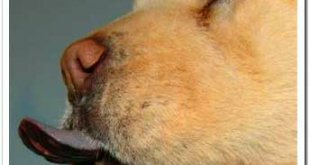 So, if your dog is a full blooded Labrador and he starts developing black spots on his tongue, this does not mean he is part Chow; he is not. This is completely normal and should cause no alarm for you. In conclusion, if you go to the local animal shelter to adopt a puppy and find one that has black spots on its tongue might or might not be part Chow. If this is the case, you should ask what breed the shelter believes the dog is; they are usually very knowledgeable at giving the best idea. The reason many dog breeds can develop black spots is most likely because they originated from the Chow Chow a long time ago. Keep Chow Chow tongue's clean and healthy. Chow-Chow tongue should be checked each week.